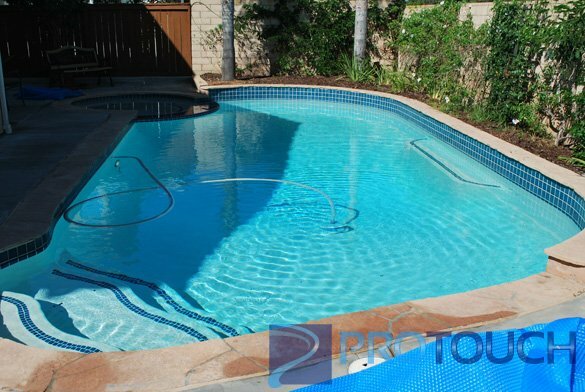 This written home pool inspection was performed in the Park Village neighborhood of Rancho Penasquitos. The San Diego homebuyer had never owned a swimming pool before and was not sure if there were any problems with the pool and spa. As part of the pool inspection report, we looked at the pool surface, the pool equipment and checked the pool water chemistry. 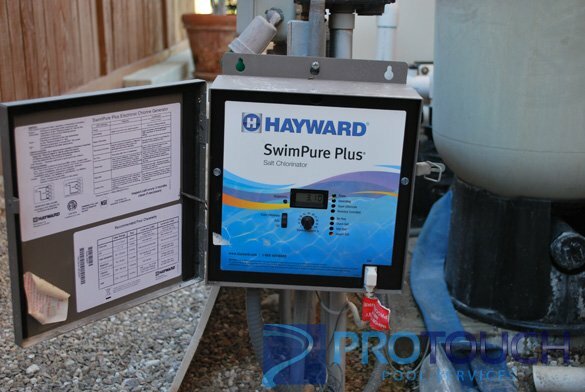 While testing the pool water we found the chlorine levels and pH levels were both high. The cyanuric acid or conditioner levels were also high and needed to be lowered. 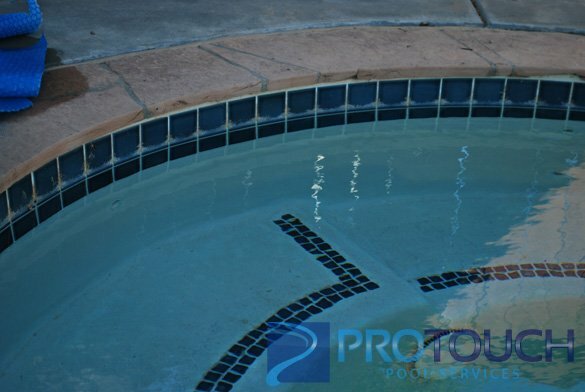 To fix the pool water chemistry it was put in the written pool inspection report to drain a portion of the water and refilled with fresh water. flagstone pool coping was in good condition and didn’t have any loose or broken pieces. Between the deck and the coping, the pool expansion joint had a small section that had separated but didn’t need to be replaced at the time. We finished the pool inspection at the Park village home by inspecting the swimming pool and spa equipment to let the homebuyers know if any repairs were needed. 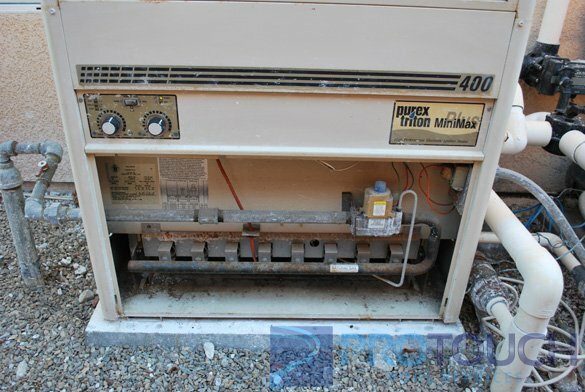 The pool heater was on older Purex Triton MiniMax Plus that was leaking water from the heater header. A simple heater repair may fix the problem, however it might be a better investment to install a new heater. 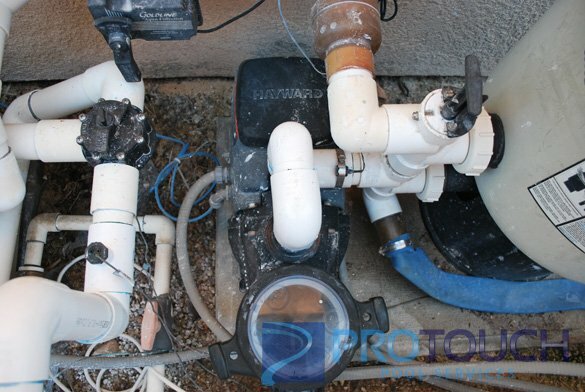 A variable speed, energy efficient Hayward EcoStar that was in good working condition was used to circulate the water through the Nautilus FNS D.E. pool filter. The pool filter had a leak on the main drain plug and a leak at the backwash assembly. A Hayward SwimPure salt water pool system seemed to be in working condition though it was calling for “Inspect the cell”. We reset it and the light went off. 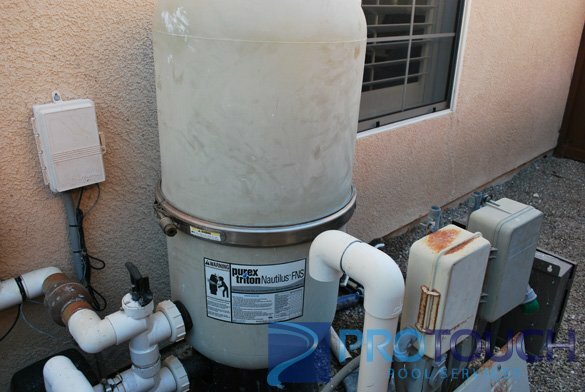 A pool solar heating system seemed to be in working condition though was turned off when performed the home pool inspection at the Rancho Penasquitos house.